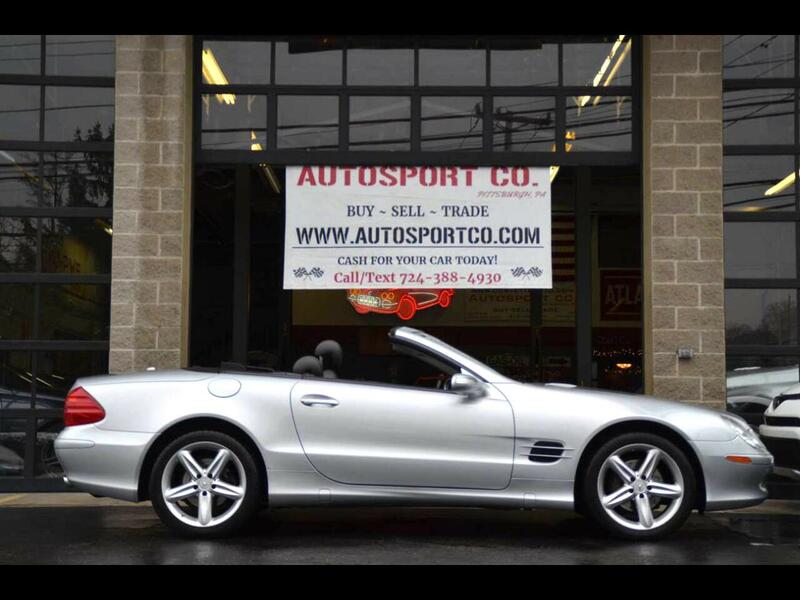 Used 2006 Mercedes-Benz SL-Class SL500 for Sale in Indiana PA 15701 AutoSport Co. Offered for sale is a Clean AutoCheck, very well maintained 2006 Mercedes SL500 with only 27k miles that was just shipped up from Florida! This Mercedes SL500 is in excellent condition both inside and out and runs out flawlessly! The silver exterior or this Mercedes SL500 is in excellent condition, the silver paint still has a deep shine to it with no abnormal wear present and the wheels are in likewise excellent condition with a very good set of tires on them! The power convertible top works perfectly and makes this a great summer cruiser! The smoke free, dark gray leather interior is in very good condition with minimal wear present, the seats and leather is all in great condition with no rips or tears nor abnormal wear! This 2006 Mercedes SL500 is loaded up with options such as: Clean AutoCheck, Power Convertible Top, Navigation, Heated Leather Seats, Good Tires, Premium Stereo, HID Headlights, Current PA State and Emission Stickers, and so much more!! For more information on this well maintained 2006 Mercedes SL500 with only 27k miles please call/text Anthony at 724-388-4930. This car is located at our Pittsburgh location 1341 Old Freeport Road, Pittsburgh PA 15238. Thank you for your time, we accept trades and can help with financing options. Message: Thought you might be interested in this 2006 Mercedes-Benz SL-Class.